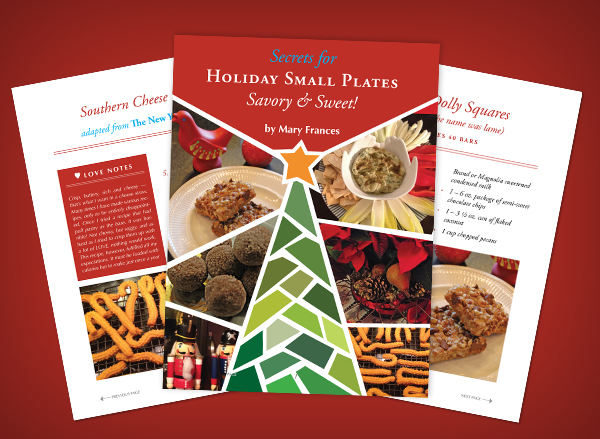 Hot off the press (or oven), our new holiday small plates e-cookbook is out: Secrets for Holiday Small Plates, Savory and Sweet. 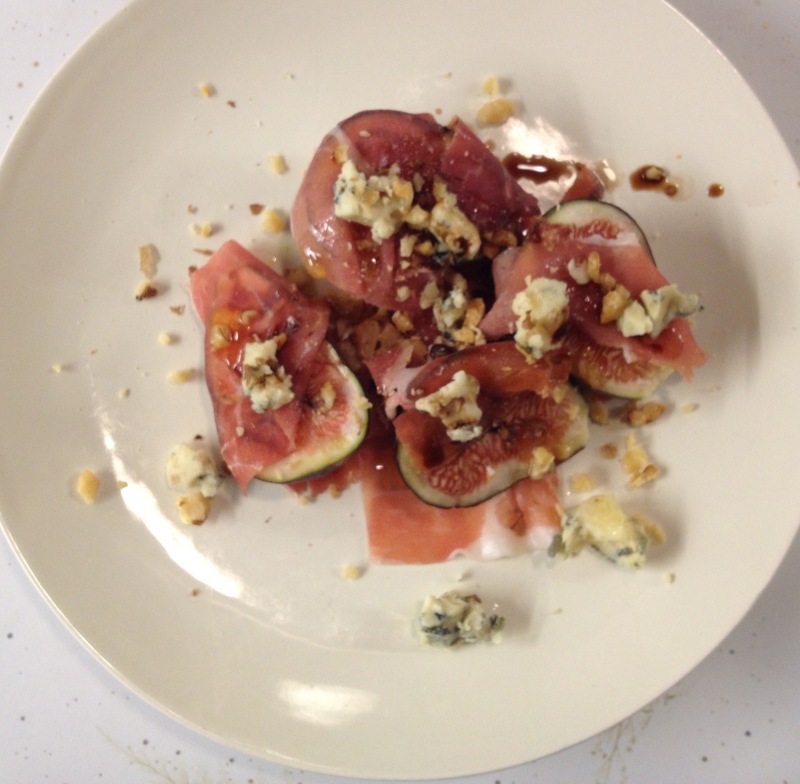 Since small plates are all the rage, I wanted to put together this collection of ten really great recipes. This is a perfect little cookbook for an easy cocktail party and makes an awesome stocking stuffer gift! After all, the holidays should be about getting together, having time to relax, visiting with friends and relatives, and enjoying your own party. These recipes will allow you to do that, eliminating the stress. You can see all the recipes if you click on the ad on the right side of this blog. The cookbook is a 30 page, interactive downloadable PDF that will work on your tablet, phone or computer. And I must say, it is beautifully designed by our wonderful designers here. So make your party stress free and you will enjoy more! And please let me know how you like it. I LOVE nuts! And no wonder, I just learned that almonds are a symbol of LOVE and happiness! The early Romans showered newlyweds with almonds as a fertility charm and the nut was a symbol of good luck for centuries throughout southern Europe. 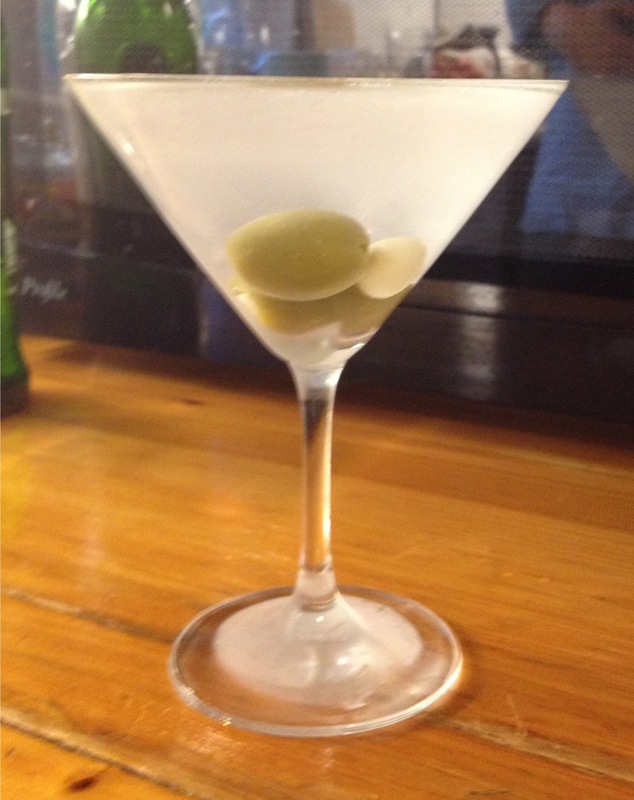 I once even heard that if you eat 6 raw almonds before drinking, you won’t get a hangover. Nuts in general got a really bad rap some years ago. We all knew that they were delicious and fatty but luckily, we’ve discovered that this fat is good for you and is even known to lower blood LDL cholesterol levels. An ounce of almonds gives you 35% of your daily allowance of vitamin E, which is a powerful antioxidant to keep you healthy all winter. 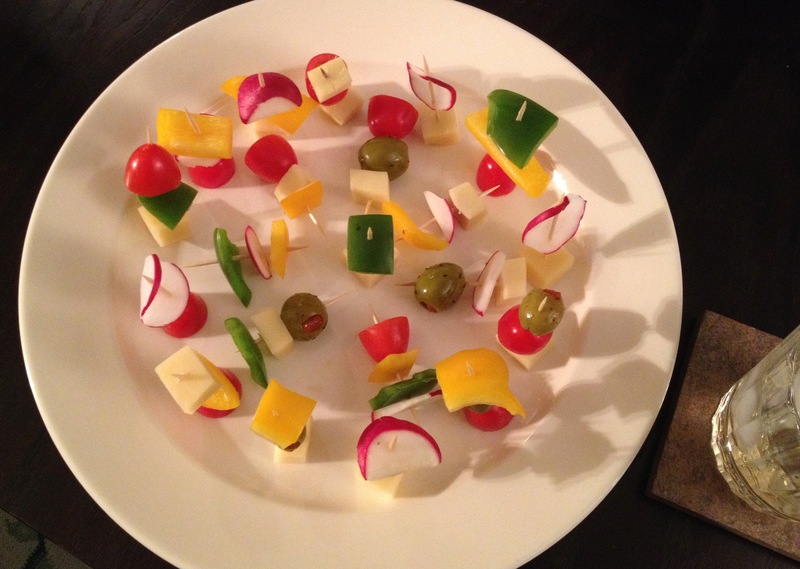 They also have other vitamins and minerals, are cholesterol free and a good source of fiber – all good stuff! 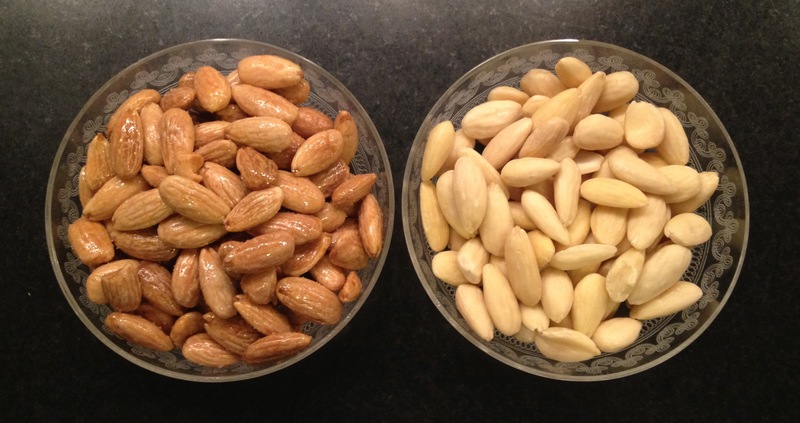 Recently, I’ve been toasting raw almonds in peanut oil and fine sea salt. Everyone I serve them to is like, OMG – where’d you get these? So I know this is a stupid simple thing to do, but I thought I’d share it as it has received such high praise from everyone. Now that the holiday season is coming upon us, a nice cute little jar of these roasted almonds would make an awesome hostess gift. 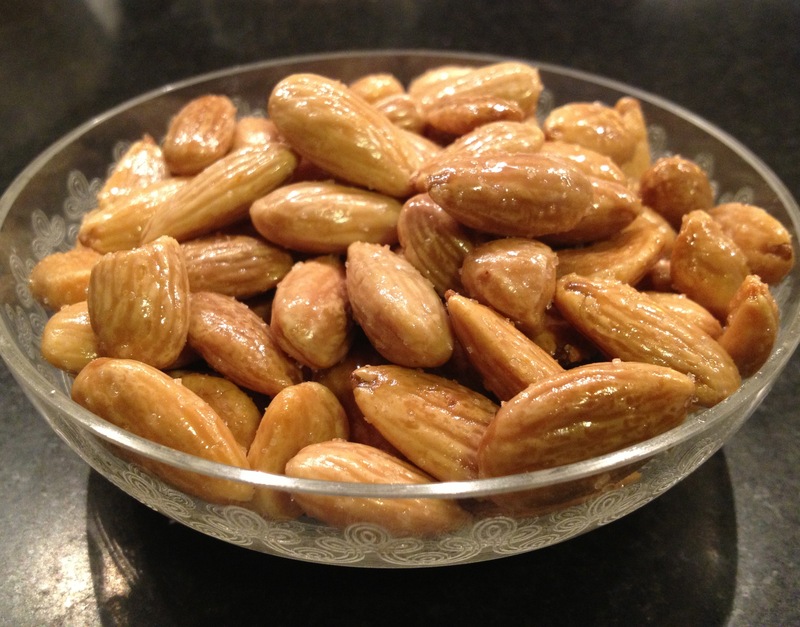 After all, years and years ago, gifts of almonds represented happiness, romance, good health and fortune. Not bad, eh? These are great during cocktail hour or chop some up and throw them on a salad or oatmeal. They don’t take long to make at all and you will LOVE them! Just be sure to check you’ve toasted them all the way through by cutting them in half and seeing if the brownish roasting effort reach the center of the nut. Preheat oven to 350 degrees. 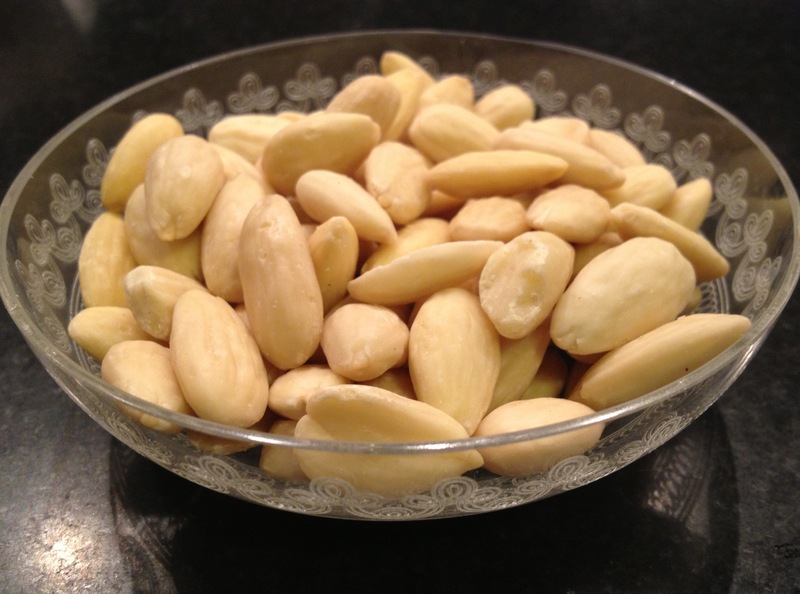 Toss almonds with peanut oil and season with sea salt. Roast in the oven for a total of 13 minutes. 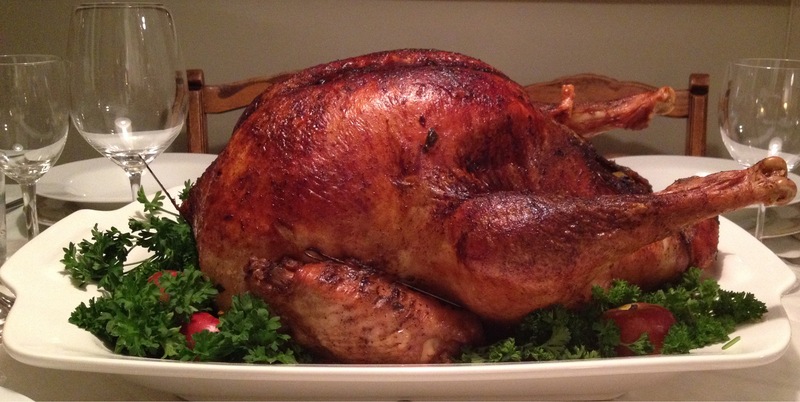 Toss at 6 minutes so that browning is even. 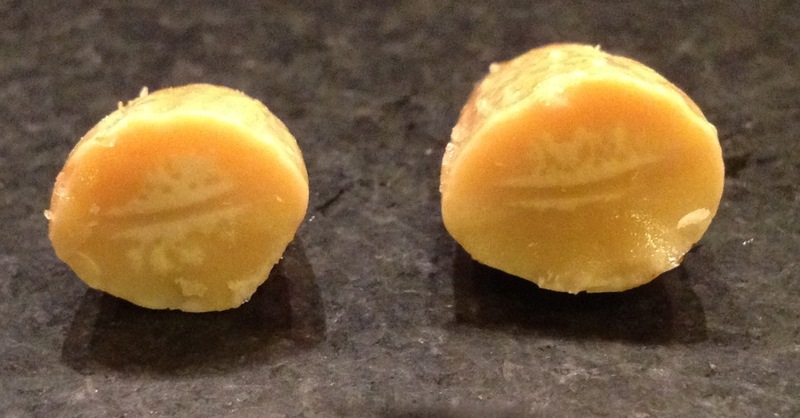 Check at 12 minutes by cutting an almond in half and making sure it is toasted inside. When done, remove pan from the oven and salt them again with the fine sea salt and let cool in the pan. Toss again and taste for the proper salt level. Store in a tightly covered container. Enjoy!! Tick tock tick tock tick tock…. So you can invite all your guests for a little zakuska and drinks, the next time they come over. 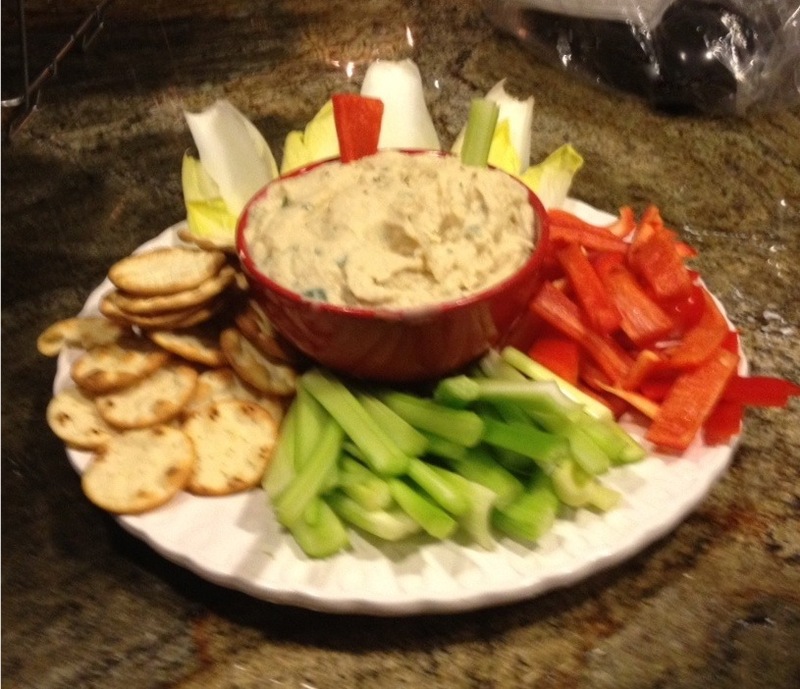 Here’s a quick pic my friend Judy snapped of the bean dip she made recently for a birthday celebration. A great zakuska! 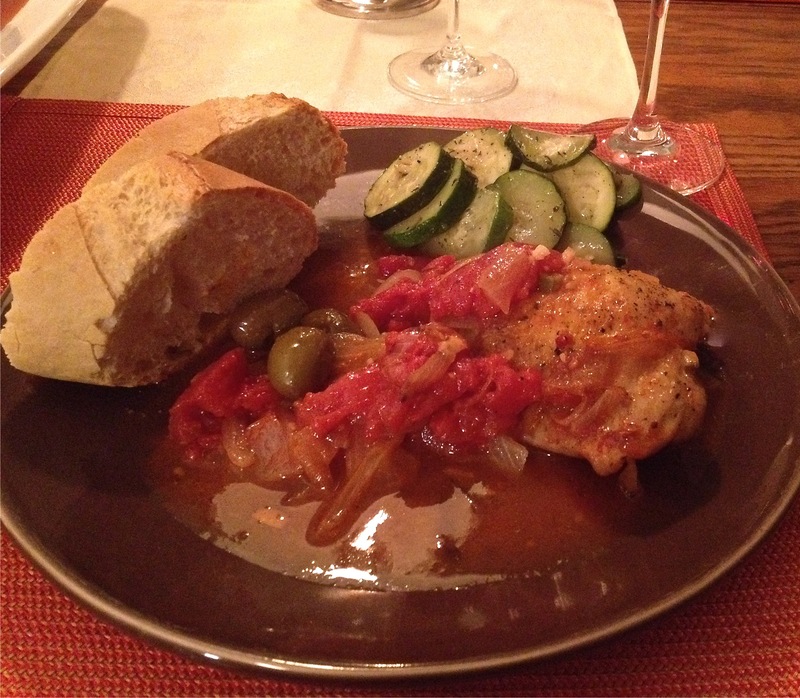 Please share with me your pictures of dishes you make from the recipes here – I’d be delighted to publish! 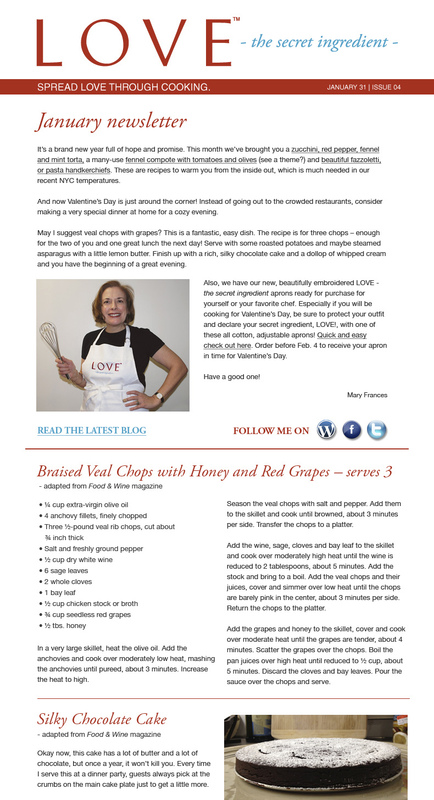 Our latest newsletter went out this past Thursday with two very special recipes, never before seen here and perfect for a Valentine’s Day dinner. If you haven’t signed up for it, you won’t receive it. 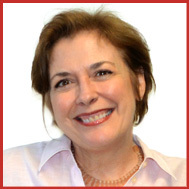 But, you can sign up now, in the upper right hand column of this blog, and I will personally make sure you get one pronto. Also, don’t forget, our LOVE the secret ingredient aprons make a great gift for any time of the year, reminding you to always cook with LOVE. When you do, everything will always taste better! If you order by February 5th, you can still receive it in time for V-day! 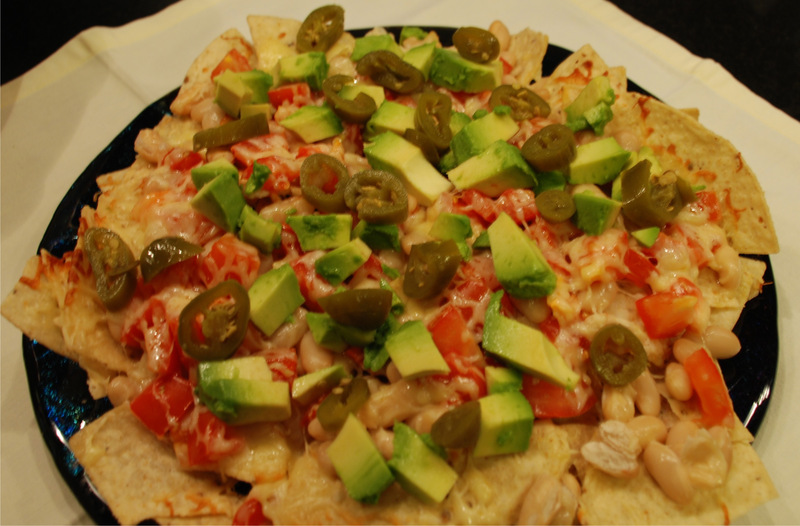 And for the Super Bowl tonight, check out these recipes – Super Easy Nachos, Nacho Burgers, Artichoke dip, and my Bean Dip!